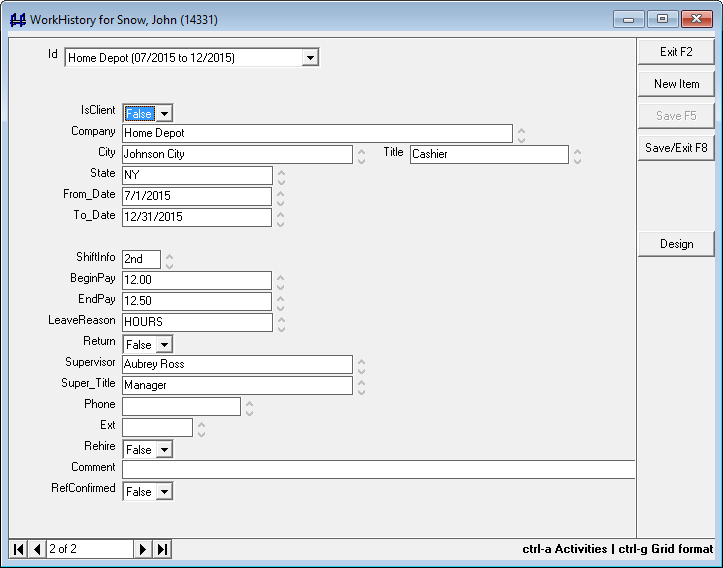 Prior Work History ? Applicants with no Resume? No Problem! Capture their work history prior to employment with your Staffing Company. 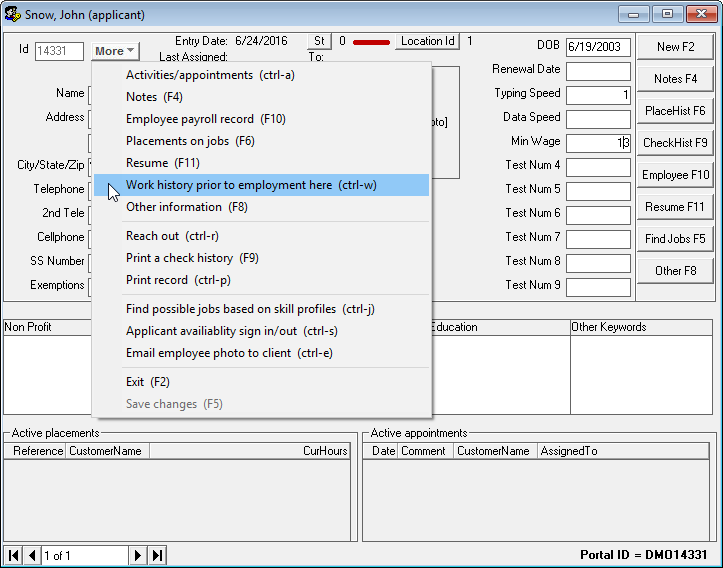 Use the “More” drop-down or quick jump with “CTRL-W” directly from the Applicants form. This lets you create and capture their work history prior to your employment where you can create reports and queries about your data.